Industry Experts - Mid-Atlantic Biosolids and Wastewater Solutions — Old Line Environmental, Inc.
Old Line Environmental, Inc. is collectively owned by Bill Blanchet, Calvin Miller, Stephen Toft and Lisa Williams. The four owners have each spent over 25 years in the biosolids and wastewater industry, with Mr. Blanchet having been the founder of Bio*Gro Systems, Inc. in the late 70s. The three other partners worked for Mr. Blanchet and continued on with the successors of Wheelabrator, Waste Management, and Synagro after Mr. Blanchet sold Bio*Gro in 1990. The majority of our employees were either part of the Original Bio*Gro Systems or its successor companies, and collectively have hundreds of years of experience in our industry. Old Line Environmental is a biosolids and wastewater solutions provider located in Curtis Bay, Maryland serving the mid-Atlantic region. 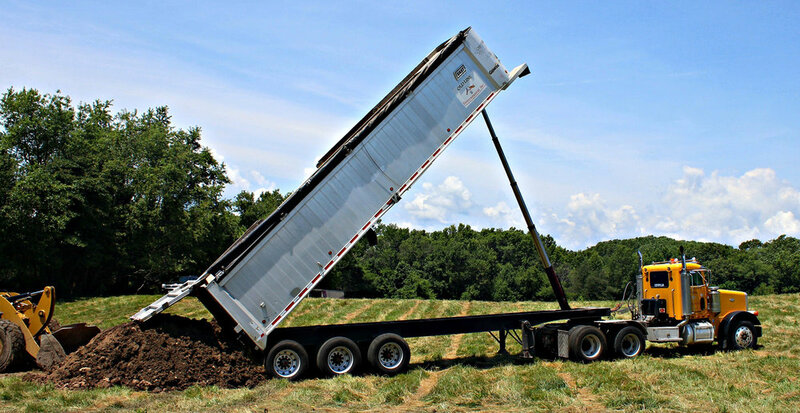 Our services include biosolids management, industrial non-hazardous residuals management, food and yard waste composting, and wet waste separation. Old Line Environmental, Inc. is comprised of employees who have spent over 25 years in the biosolids and wastewater treatment industry. It is privately held by Lisa Williams and Steve Toft. Since the company is majority owner by Lisa Williams, Old Line Environmental is therefore a Women Owned Business Enterprise (WBE) and will be registered with the Maryland DOT MBE office. Having spent many years throughout the U.S. working in the industry, the ownership has elected to focus on several key projects specifically in the mid-Atlantic States. With an ever-changing regulatory environment, they have elected to focus on specific projects developing innovative, sustainable, and cost-effective solutions as opposed to creating a large corporate culture. Attention to detail and customer service is a hallmark of the company. A great deal of time is spent focusing on industry problems such as Wet Well debris, “Class A” products, and developing markets for products, while at the same time performing standard management options such as land application. See videos of our Mark IV Wet Waste Separator on our YouTube channel! Old Line Environmental's patented Waste Water Separation technology was featured in the December 2015 edition of Treatment Plant Operator (TPO) Magazine. Copyright © Old Line Environmental, Inc. All rights reserved.